Tomorrow Sleep Memory Foam Mattress Review - A Good Value? 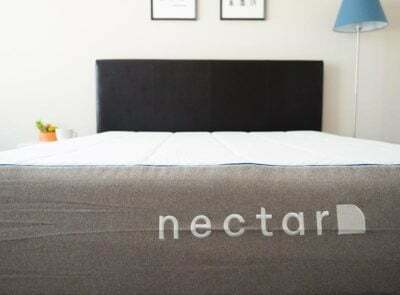 Home » Tomorrow Sleep Memory Foam Mattress Review – A Good Value? Tomorrow Sleep Memory Foam Mattress Review – A Good Value? 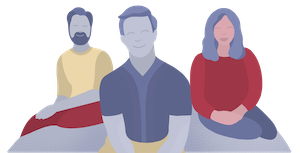 If you are looking for a value memory foam mattress, you might want to consider the Tomorrow Sleep Memory Foam mattress. I have previously reviewed the Tomorrow Sleep Hybrid mattress, and I found it to be a very comfortable mattress. I was excited to see what my experience would be on this memory foam mattress. Is this a great memory foam mattress for a value price? Read on for my full review. You are looking for a value memory foam mattress. Considering the memory foam feel, this mattress is quite reasonably priced. If you want a good deal on a memory foam mattress, this could be a good pick. You are a back and/or stomach sleeper. This mattress is firmer than average and should offer good support for many back and stomach sleepers. I felt properly supported when I was lying in these positions. You are a hot sleeper. 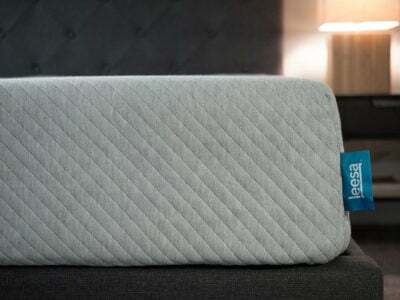 The memory foam in this mattress is designed to be breathable. While sleeping hot is often an issue with memory foam mattresses, that shouldn’t be the case here. 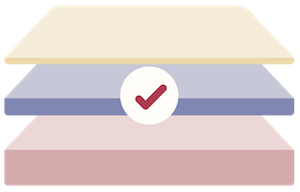 Click HERE and use code CLARITY100 to get $100 off the Tomorrow Sleep Mattress. You are a side sleeper. If you sleep primarily in this position, you may think this mattress is too firm. I felt some pressure on my shoulders and hips when I tested the mattress in this position. Side sleepers may want to look for a softer mattress. You are a heavier-weight sleeper. This mattress might not offer the support you need if you are a larger person. You might want to find a thicker, firmer mattress. You are looking for a long-term investment. While this mattress is a value, it may not last as long as some more durable mattresses. If you are looking for a mattress to last you eight to 10 years, this might not be the mattress for you. The mattress is 10” thick. It has a soft, thin cover. The first layer is 1” of gel memory foam. The second layer is 2” of memory foam. The base is 7” of a standard base polyfoam. This mattress is available in Twin, Queen, King, and California King. The cover does not impact the overall feel of the mattress. You should be able to interact with the foam layers of the mattress quite easily. The top memory foam layers are soft but quick to respond. You get some pressure relief, but you shouldn’t feel “stuck” in this mattress. Heavier people may think this mattress feels even firmer. They may press through the soft upper layers and feel the firm layers beneath. The gel memory foam is open-celled, which makes it breathable. It is cool to the touch and should keep you from overheating on this mattress. For me, the Tomorrow Sleep memory foam mattress felt like a 7 out of 10 in terms of firmness, or a bit firmer than average. I felt proper support when I was on my back. My hips sunk in just the right amount, and the rest of my body was held up by the mattress. On my side, I did feel some pressure on my shoulders and hips. I think I was pressing through the soft upper layers and feeling the firm layers beneath. People my size or heavier will probably have the same experience. On my stomach, I also felt supported. I did not feel like my hips were sinking in too far. My spine felt like it was in proper alignment when I was in this position. Regarding feel, this mattress has a bit of that classic memory foam feel. However, the memory foam layers are fast to respond, so you shouldn’t feel like you are getting stuck. During my tests, I saw little motion transfer on this mattress. The top layer is memory foam, and that usually performs well with motion isolation. When I pressed into the mattress around a glass of water, the glass barely moved. It was also undisturbed by me rolling around. We also asked our staff writer Marten to move around on the other side of the mattress to mimic the movements a partner might make. I did not feel his movements on my side of the mattress. Overall, I think this could be a good mattress for couples. 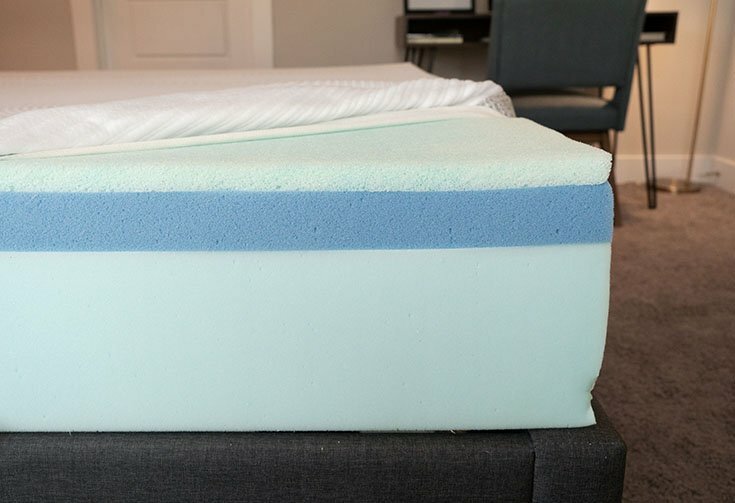 While all-foam mattresses aren’t always the best when it comes to edge support, that was not really the case with the Tomorrow Sleep memory foam mattress. While it did collapse somewhat as I sat near the edge, this is a slightly firmer mattress. I still felt secure sitting down. Also, when I was lying down near the edge, I didn’t feel like I was going to roll off. You can see the decent edge support in the photo below. Joe said it was a 7/10 in terms of firmness and I said it was an 8/10. I think that’s because I press through the soft upper layers and feel the firm layers beneath. Lying on my back, I feel very nice overall support. I feel the top foam layer pressing up into my lumbar area. Moving to my side, I feel some pressure on my shoulders and my hips. It’s definitely too firm for me in this position. Lying on my stomach, my hips go in a bit but not too much. It is supportive when I am on my stomach. If you’re a heavier back sleeper, this would probably be a good choice for you. If you’re a heavier side sleeper, it might be too firm. If you’re a heavier stomach sleeper, this might work for you as well. I am not surprised that Marten thought this mattress was even firmer than I did. He felt more pressure on his shoulders and hips as he pushed through the comfort layer and engaged the support layers beneath. However, even as a larger person, he found the proper support when he was on his back and stomach. It is an affordable memory foam mattress. Considering how expensive memory foam mattresses can be, this mattress is quite a value. It is half the price of many foam mattresses. It is a good mattress for hot sleepers. While many memory foam mattresses tend to sleep hot, the top layer in this mattress is designed to be breathable and keep you cool. It could be a solid choice for back and stomach sleepers. This mattress is firmer than average and should give you the support you need when you are on your back or stomach. It has a bit of a memory foam feel, but you won’t be getting stuck. 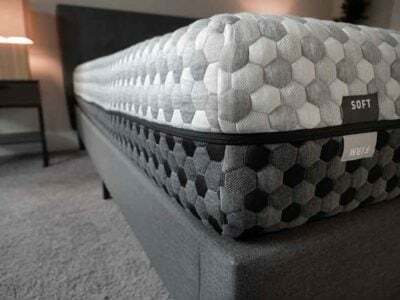 While you have some of that soft, sinking feeling that comes with memory foam, the top layers are also quick to respond. You get some of that quicksand feeling, but you shouldn’t feel stuck. 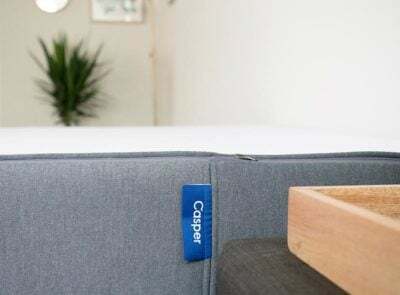 The Tomorrow Sleep is a bed-in-a-box mattress, which means it will come compressed and be shipped straight to you. You will want to begin by removing the rolled up Tomorrow Sleep mattress from its box. Then, preferably with another person’s assistance, position the roll on your bed. Carefully cut away the first layers of plastic until the still-compact mattress can be laid down flat. Then, pierce through the final layer of plastic and the Tomorrow Sleep will expand. Simply clear away the excess plastic and allow your mattress to breathe and fully expand. This could be a good pick if you are seeking a value memory foam mattress. It is considerably cheaper than many of its competitors, but it does not sacrifice quality. It should be supportive enough for most back and stomach sleepers, and it should sleep quite cool. 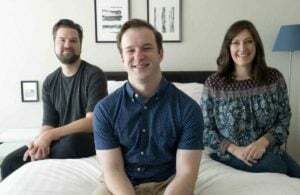 Side sleepers or those who want more of a long-term investment mattress may want to look elsewhere. The Tomorrow Sleep memory foam mattress comes with free shipping and returns. It has a 10-year warranty and a one-year sleep trial. Financing is available, and the company also offers a hybrid mattress as well as accessories.